Techcomp (China) Limited were pleased to host the 6th Seminar on Steady State/Lifetime Fluorescence Spectrosocopy in Wuhan, Hubei Province, China from 9-13 November 2018. In tandem with this, Edinburgh Instruments ran a Product User Meeting. 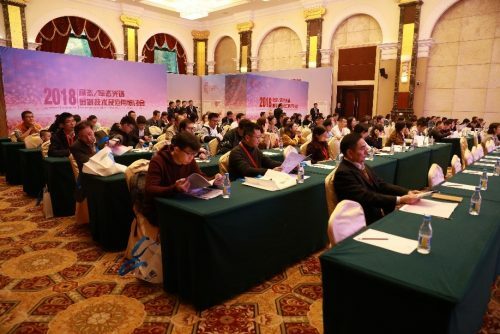 The events proved extremely popular with in excess of 100 industry experts and scholars in attendance and more than 126 research papers and 26 articles presented. 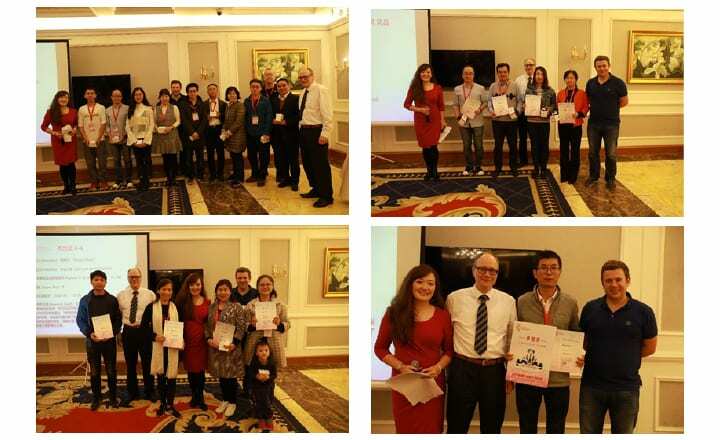 Ms. Zhang Hairong , Vice President of Techcomp China, Dr. Roger Fenske, CEO of Edinburgh Instruments, Dr. Dirk Nather, Head of R&D, Edinburgh Instruments, UK, and Mr. Zhang Xuan, Spectroscopy Application Engineer, Techcomp China attended the seminar and user meeting. 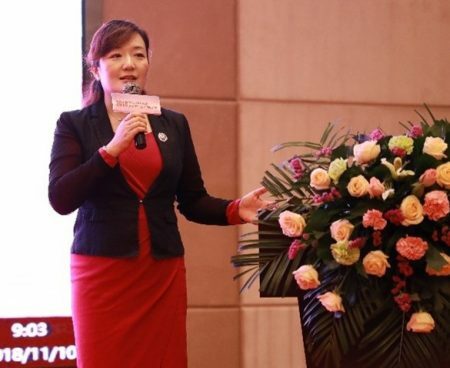 Ms. Zhang Hairong delivered the opening speech and gave an overview of Techcomp and the further development of UK based Edinburgh Instruments since its acquisition by Techcomp in 1988. By focusing on scientific research, service industry innovation and caring for human life, Techcomp manufacturing in scientific instrument will continue to strive forward. Dr. Roger Fenske also gave a presentation about the products and services offered by Edinburgh Instruments. At the same event, Dr. Roger Fenske, Dr. Dirk Nather and Mr. Zhang Xuan introduced their latest research Hot Applications in Steady-State Transient Fluorescence, Latest Applications of Transient Absorption Spectroscopy in Various Research Fields, Introduction to High-End Accessories and Coupling Applications as well as new products. Left: Dr. Roger Fenske, CEO of Edinburgh Instruments, Right: Dr. Dirk Nather, Head of R&D at Edinburgh Instruments, UK. Dr. Nather introduced recent research in fluorescence technology and gave a preview of heavy weight new products. Left: Professor Yang Chuluo from Wuhan University – High-efficiency heat-activated delayed fluorescent materials and devices, Right: Professor Su Shijian, South China University of Technology – Double conformational fluorescent material: excited response and high efficiency organic electroluminescent device. Left: Professor Wu Dayu from Changzhou University – Synthesis, Structure and Application of Smart Response Fluorescent Metal Complexes, Right: Researcher Zhang Zhijun, Shanghai University – Study on the relationship between the luminescent properties of Eu2+-doped nitrosilicate and its structure. Left: Professor Ma Ying from Huazhong University of Science and Technology – Application of Fluorescence Upconversion, Right: Mr Ma’en, the Senior Engineer of Institute of Rare Earth Materials, Xiamen Institute of Rare Earth Materials, Chinese Academy of Sciences – Quantum Yield Test Methods and Applications. Left: Researcher Mr Wang Xiang, Xiamen University – Development and Application of Plasmon Enhanced Raman Spectroscopy, Right: Associate Professor Ma Jiani, Northwest University – Study on Photodeprotection Mechanism of Indole-2-methylcarbonyl Cage Alcohol by Time-Resolved Spectrophotometry. Left: Professor Zhang Qun from University of Science and Technology of China – Application of ultrafast spectroscopy in condensed phase molecules and micro/nano systems, Right: Senior Engineer of Chen Mingxing, Peking University – Operation and Application of Special Accessories on Public Test Center. Left: Associate Professor Qin Haiyan from Zhejiang University – Association of Aggregate of Colloidal Quantum Dots and Spectral Properties of Single Particles, Right: Professor Li Zhen of Wuhan University – Application of Fluorescence in the Study of Photoelectric Functional Materials. 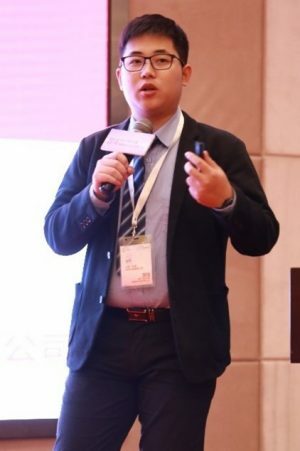 Mr. Zhang Xuan, Tianmei (China) Spectroscopy Product Engineer – Test Techniques and Data Processing. Questions and answers were conducted throughout the presentations and experiences of using the instruments were shared with the audience. Attendees were also able to visit poster presentations during the breaks. 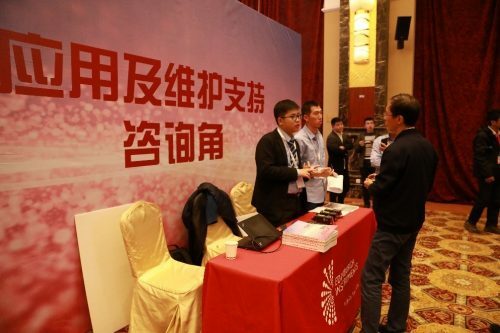 At the meeting, Techcomp China took part in a signing ceremony with Xiamen University to establish a scholarship award, expressing the will and determination of Techcomp (China) to help scientific research. A total of 126 research papers were collected and presented in this event. 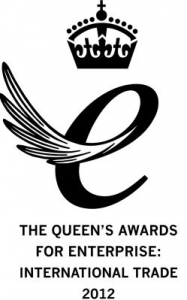 Distinction, Excellence and Premium papers were awarded according to their influence, relevance to Edinburgh Instruments and the total number of articles. 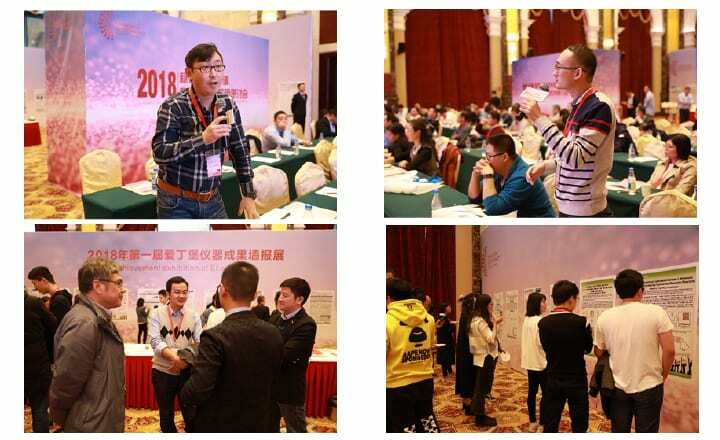 In addition, 26 poster presentations were collected and exhibited during the user meeting and proved popular with participants. 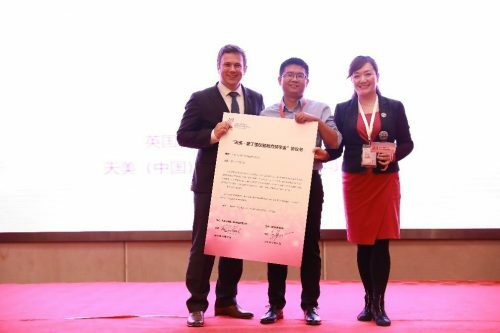 An award was also given to the poster which best supported the work of Edinburgh Instruments and Techcomp China.